The only woman to win the Nobel Prize for Economics showed that democratic management of commons isn't just possible, but normal. The market fundamentalism of Hayek seems to dominate political discourse. Hayek, the liberal free market Austrian economists, argued that state planning would end in failure and only the market could promote economic efficiency. This agenda seems, since Thatcher and Reagan, to have swept the world but it is, of course false. Neo-liberals far from reducing state intervention use the state to support corporations. Privatization is about helping powerful firms and market competition is no longer an issue. A good example is the current transformation of the NHS into a cash cow for Virgin and US health corporations. Neo-liberals promote corporate welfare and monopoly. Elinor Ostrom is powerful ally for all those of us who want to challenge that neo-liberal dogma and create people centred cooperative economics. 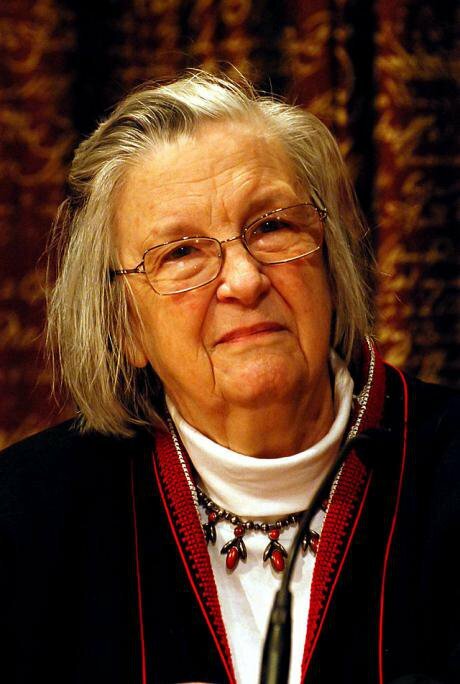 Elinor Ostrom, who sadly died in 2012, was the first and so far only women to win a Nobel Prize, strictly speaking the Swedish bank prize, for economics. She was awarded it for her work on commons, collective resources and collective communal property. If we want a practical alternative (s) to privatisation she helps in a number of ways. First, she is one of very few thinkers who gets us beyond market and state binaries. Her Nobel lecture was entitled 'Beyond markets and states', while she was neither a radical anti-statist nor an anti-capitalist, she believed that a whole host of ways of running an economy were possible and that all sorts of cooperative and diverse ways of owning property and dealing with economics had the potential to work. The idea that the market was a panacea, or, indeed, the state, was alien to her thinking. This approach is a good way of challenging the neo-liberal idea that only privatisation is permitted - popular democratic control of the economy and society is at the centre of Ostrom's work. Second, her research showed that far from being tragic, commons were possible. In her most important book Governing the Commons, she looked at real world examples of commons that had succeed and others that had failed. She discovered that some commons such as the grazing pastures at Torbel in Switzerland had worked very well for over a thousand years. She looked at how Spanish farmers have shared limited irrigation water – using the same formula for centuries, she examined how for generations, fishing communities in West Africa have divided up access to fish, to ensure that only a sustainable number are ever caught... Cooperative ownership is thus an alternative to private corporate control of resources. Her work on commons is a powerful challenge to neo-liberal assumptions that corporate ownership is the ideal because cooperation always tends to fail. Third, she helped to discover ground rules to make commons work. Often we think in slogans and make broad ideological statements. She in contrast looked in very great detail and what made cooperation more likely. Her eight design features for a well-functioning commons, cannot simply be applied to all forms of collective cooperative ownership but provide a very good start for helping us. For example, running a cooperative or commons, involves constructing rules as to who does what, her assumption that the more participation co-operators have in making the rules the more likely they are to stick to them, is just one useful insight. Fourth, she reminds us that institutions and culture are important. We live in the UK in society where hierarchy and market values are often strong, it is thus likely to involve some serious work to construct alternatives. We need to look at examples which have worked and others which have failed, working hard intellectually and practically to build alternatives. Alternatives to neo-liberalism are possible in a society but practice will be needed to get them right. Fifth, Ostrom was overwhelming pragmatic. She focussed on practical problems and how to solve them. Her interest in commons and indeed that of her husband Vincent, an interesting thinker in his own right, came from a particular dilemma. They were interested in the problems of conserving West Basin, a body of water near Los Angeles. If too many users including farmers took water from it, the water level would fall, salt water would be sucked in from the Pacific and West Basin would be ruined as a source of fresh water. You can't divide water courses up and sell them, so a solution that involved diverse user cooperating had to be achieved. It might be said that human beings face a variety of challenges in creating economies and institutions that work for mutual benefit, the Ostrom approach of seeing these challenges as forms of problem solving is I feel very helpful. Sixth, while Ostrom was never identified with the radical left or anti-capitalism, her ideas when examined are extraordinarily radical. For example, long before it was fashionable she was an intersectional thinker, she always worked for women and diverse but excluded social groups. The idea that economics was gender neutral did not fit with her work. Her own experience shaped this approach. 'You Jew! You Jew!' she recalled, her voice rising, imitating the taunts. Ostrom, to summarize, showed that an alternative to purely private ownership were possible, she argued for diverse, democratic ownership and ecological sustainability, a long way from the narrow assumptions of mainstream economics. Above all, she used detailed research methods to investigate how we could do better. Her work is essential for helping us to move away from an economy that is based on top down instruction, inequality and corporate control. She was a pragmatic radical and we can all learn from her. This article is part of the Modernise: de-privatise series.